Over 35 Surfrider Chapters participated in Hands Across the Sand events across the country on Saturday, May 19th, joining thousands of activists around the world in saying NO to offshore drilling and dirty fuels and YES to clean energy! Photo from the San Luis Obispo Surfrider Chapter, supporters join hands against offshore drilling in Avila Beach, CA. 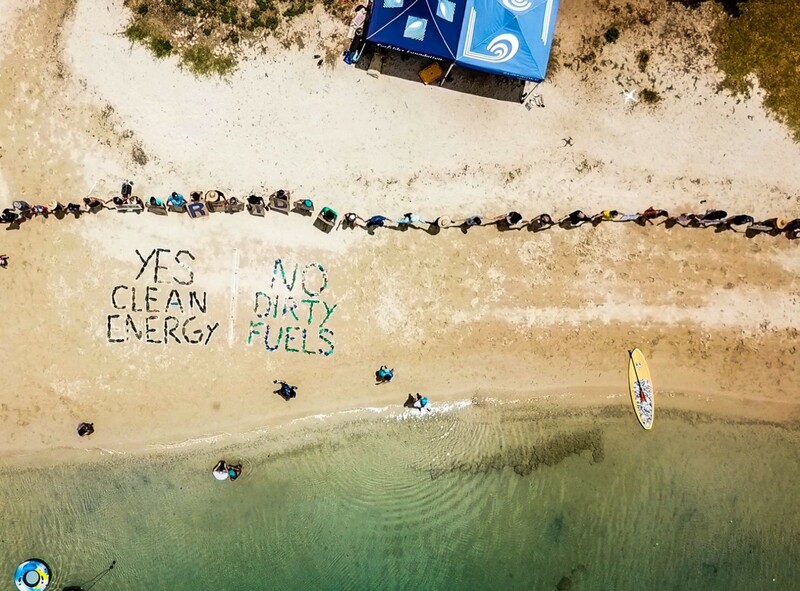 A grassroots event founded by Surfrider member Dave Rauschkolb in Florida, Hands Across the Sand brings people together to oppose new offshore drilling and other dirty fuel proposals. Participants form "human lines in the sand" by joining hands at their local beach or park to send a message to government leaders. This is the eigth year that supporters across the world have taken action. Drone footage from Jake Andrews, Surfrider O'ahu supporters unite to advocate for clean energy and healthy beaches in O'ahu, HI. The Surfrider Foundation served as an official sponsor of the 2018 event as part of our Stop New Offshore Drilling campaign. Other sponsors included: Oceana, Sierra Club, Southern Alliance for Clean Energy, Gulf Restoration Network, Redfin, Center for Biological Diversity, Earth Ethics, Chart 411, Urban Paradise Guild, and All Things Healing. With the Trump administration pushing for a dramatic expansion of offshore drilling to over 90% of U.S. waters, and current proposals to use harmful seismic blasting in the Atlantic, Hands Across the Sand participants showed President Trump, Congress, and state legislatures the breadth of opposition to new offshore drilling, fracking, and seismic blasting, and instead, advocated for a clean energy future. Photo by Patrick Diamond, NYC Chapter Hands Across the Sand event at Rockaway Beach, NY. 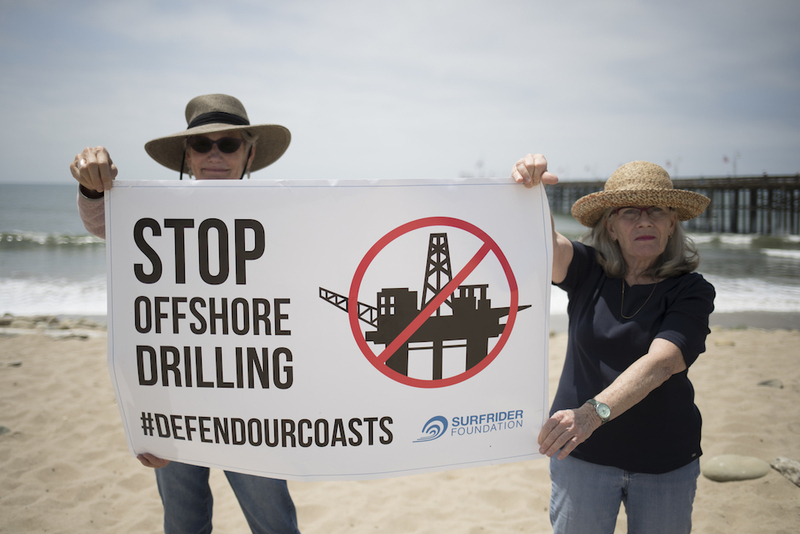 Surfrider chapters across the US show opposition to new drilling! Florida - Chapters along the Florida Coast rallied to protect their coastline from new offshore drilling, hosting events at Daytona Beach, Jupiter, Melbourne, Miami Beach, Pompano Beach, Indian Beach, and Pensacola. Key speakers include Senator Bill Nelson, Congressman Charlie Crist, and members of local school boards, county commissioners, and more (photos/ article). South Atlantic - The Tybee Island Chapter in GA (article/ article), Cape Fear (photos/ video/ article) and Outer Banks Chapters (article) in NC, and Myrtle Beach Chapter in SC all hosted events to protect their coastline from new drilling. Mid Atlantic - The Virginia Beach (article), Ocean City Maryland (photos), Washington D.C. (photos), Delaware, South Jersey (photos/ article), Jersey Shore (article), Central Long Island, New York City (photos), and Eastern Long Island (photos) Chapters hosted 11 Hands Across the Sand events against offshore drilling. Attendees represented bi-partisan support for protecting coastlines from offshore oil drilling, including speeches from NJ Congressman Frank Pallone, Congressman Chris Smith, and Senator Robert Singer. Northeast - The New Hampshire Chapter hosted HANDS against offshore oil drilling. Hawaii - Oahu Chapter hosted a HANDS event in Honolulu to oppose imported oil and the deconstruction of national monuments, and to support 100% renewables in the state of Hawaii. Pacific Northwest - South Sound Chapter hosted an event in Tacoma to oppose LNG export/import terminals and new offshore drilling. California - San Diego (photos), Huntington Beach (photos), S. Orange County (article), South Bay, Los Angeles (photos/ article), San Luis Obispo (photos), Ventura (photos), Mendocino County (photos), Del Norte, and Wilson High School Surfrider Chapters hosted events that spanned the coast of California. Key speakers include City of San Diego's Coucilmember Lori Zapf, community leaders, and more. Photo by Trent Stevens, community members say no to new offshore drilling in Ventura, CA. You can help protect our waters from offshore drilling and dirty fuels!